At Takle Eye Group we want our patients to receive the best eye care possible, this includes making sure our patients are informed regarding exams and medical insurance. 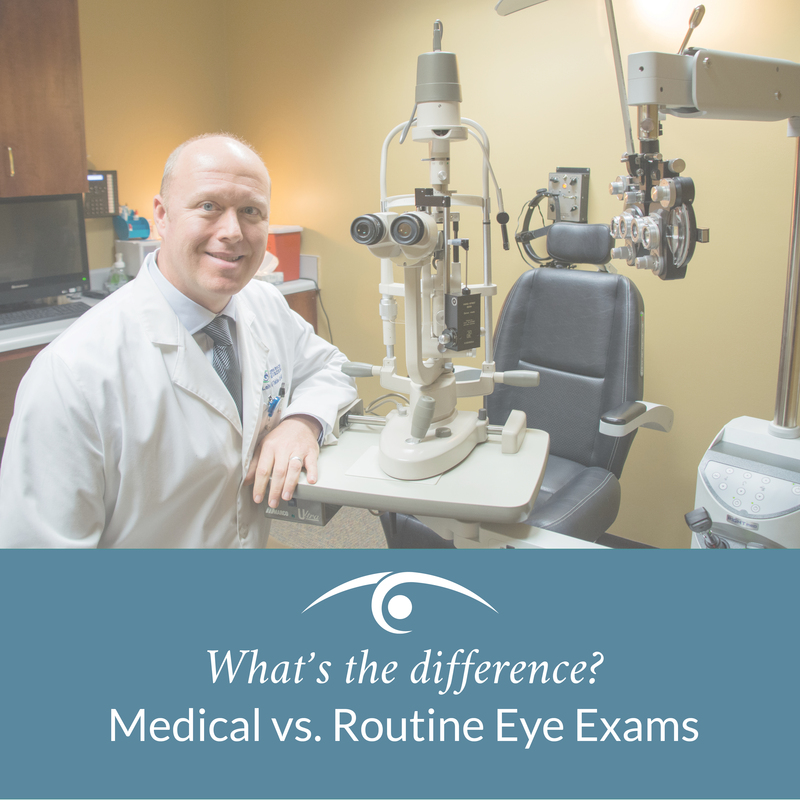 We are often asked about the difference between medical and routine eye exams. Both medical and routine eye exams may include the same components: such as refraction, dilation, intra-ocular pressure testing, and a personal examination by an eye care professional. Both medical and routine exams are completed by either an optometrist or an ophthalmologist. The primary difference in medical and routine exams is often determined by insurance providers based on reasons (or a chief complaint) or the physician’s findings or diagnosis. A medical exam includes diagnosis and treatment of an eye disease or malady (like glaucoma, conjunctivitis, or cataracts). A routine eye exam, on the other hand, includes diagnosis and treatment of non-medical complaints, like astigmatism, or farsightedness. Example: If you’re seeing the doctor because you’re having trouble with blurry vision, that’s a routine exam. If you’re seeing the doctor because you have pink eye, that’s a medical exam. Anything related to glasses or contacts prescription is considered a routine exam. If the doctor discovers that your vision is blurry because you have cataracts, and your final diagnosis is a medical diagnosis, then your exam becomes a medical exam. OR if the doctor gives you a diagnosis of myopia (nearsightedness), that’s a non-medical, “routine” diagnosis, and your exam is a routine exam. What does this distinction mean for your insurance coverage? Mainly, it depends on your provider, your policy, and your plan. Some insurance providers offer coverage for medical exams, but not routine exams. Some providers require a co-pay on routine exams, but cover a portion. Some offer discounts on glasses and contacts. Some will cover a medical exam annually, while others cover every two years. Please bear in mind that it is the patient’s responsibility for knowing coverage but we are here to help with questions. If you need any assistance determining what your insurance covers please reach out to our office.